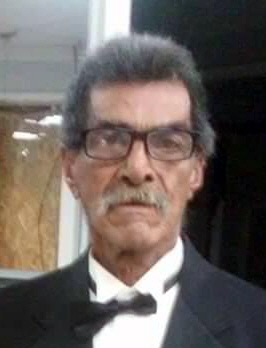 Evaristo A. Castillo, 77 passed away Friday, February 8, 2019 in Lubbock. There will be a visitation on Monday February 18, 2019 from 1:00pm to 9:00pm. A rosary will be held 7:00pm February 18, 2019 at Calvillo Funeral Home and Chapel. Cremation arrangements were made under the direction of Calvillo Funeral Home and Chapel. Mr. Castillo was born September 5, 1941 in Robstown to Evaristo Sr. and Refugia Castillo. He was a Barber by trade for many years and worked for Garza’s Barbershop. Mr. Castillo enjoyed having fun, loved dancing and being with his dogs. He was not only a devoted Catholic but also a father who loved his family. He is survived by his two daughters, Raquel Castillo of Lubbock, Amanda Castillo of Victoria; one brother Raul Castillo of Owatonna, MN; three sisters, Paula Cabrera of Lubbock, Belen Guzman of Lafayette, Indiana and Gloria Cuevas of Austin; Three grandchildren and three great-grandchildren. He is preceded in death by his parents Evaristo Sr. and Refugia Castillo, and a sister Theresa C. Dominguez.